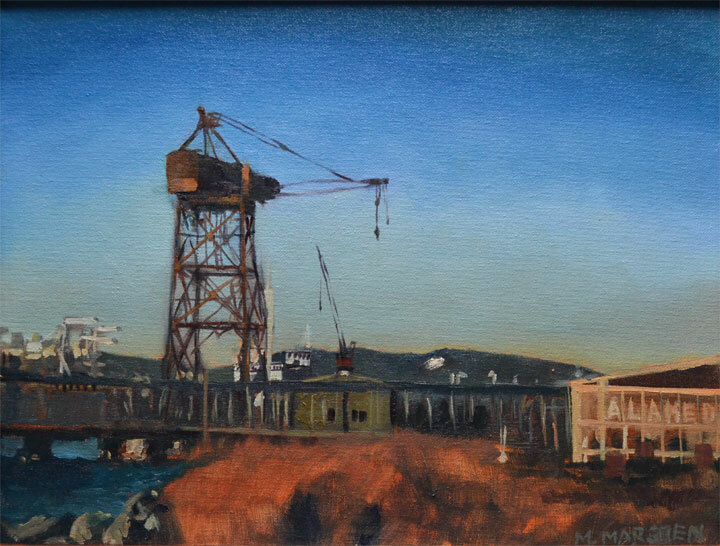 While trying to squeeze in a few paintings for the last week’s plein air paintout in Alameda, someone told be that this old crane by the ferry landing at the north end of the island will be torn down soon. If we had the relative strength of an ant, we wouldn’t need these, I think it’s fascinating how we create these things which help us do amazing feats of construction which we couldn’t otherwise do. A lot of people commented on this painting. You can see it at the Frank Bette Center for the Arts at 1601 Paru Street, Alameda August 10-September 29. There may be a reception, if so, I’ll post that soon.